Description:This quality 2-in-1 gift is both a seat and a cooler bag. 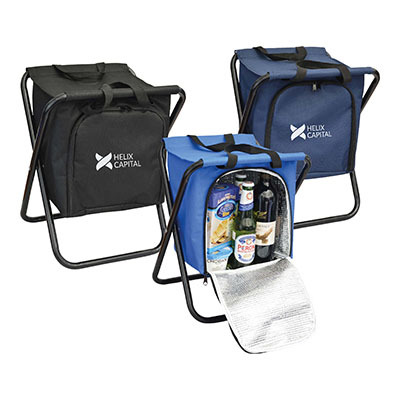 Made from tough 600d nylon with a super-tough black metal frame and carry handles, it features a foil insulated cooler compartment designed to keep food and drink cool for hours. Available in blue, black or navy.